If there is something we could all use it is a few extra instances of self-care. So, while you’re wrapping up (pun intended) your holiday shopping, consider giving a gift that isn’t purely just ‘stuff’ but an experience. 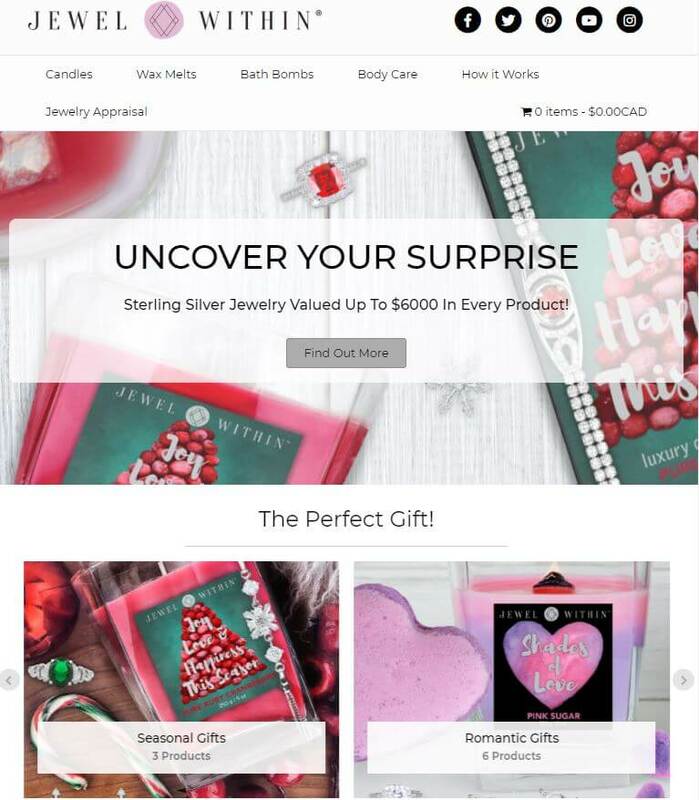 So, if you have some last-minute shopping to do, or if are you in desperate need of a moment of relaxation and a special surprise then look no further than #SmallBusinessThatRocks, Jewel Within, local specialists at creating luxurious candles, melts, and bath & body products. 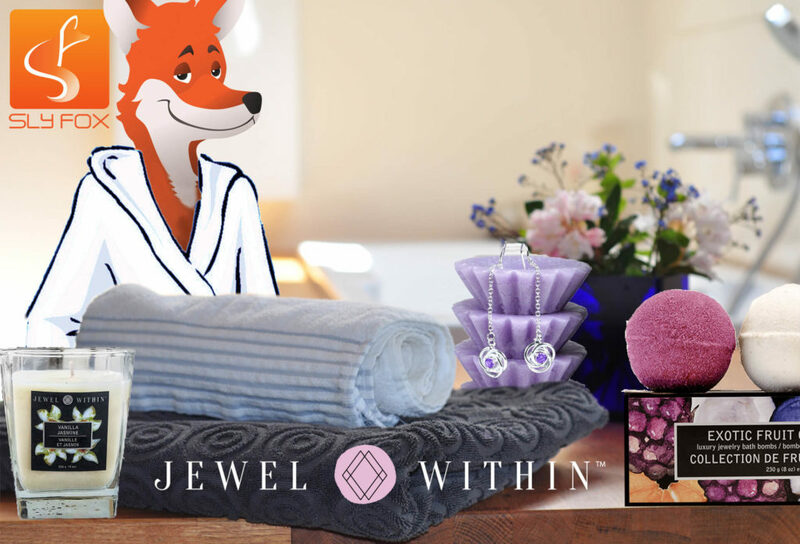 Created by Esther, David, Kate, and Faith, Jewel Within was conceived with the intention of providing a unique product line that would bring a bit of luxury and surprise to daily routines. With their range of luxuriously handcrafted bath and body products what you see is not only what you get- in the best way possible! Hidden inside is a beautiful piece of high-quality jewelry ranging in value from $20-$6000. Recognizing that not every person will choose the same type of jewelry (what if you don’t have pierced ears, for example), Jewel Within doesn’t rely on random chance- customers are invited to choose their preferred type of jewelry when selecting their product, whether it is a necklace, bracelet, jewelry, or earrings- customer satisfaction is paramount. All products are made from natural, plant-based ingredients designed to pamper. 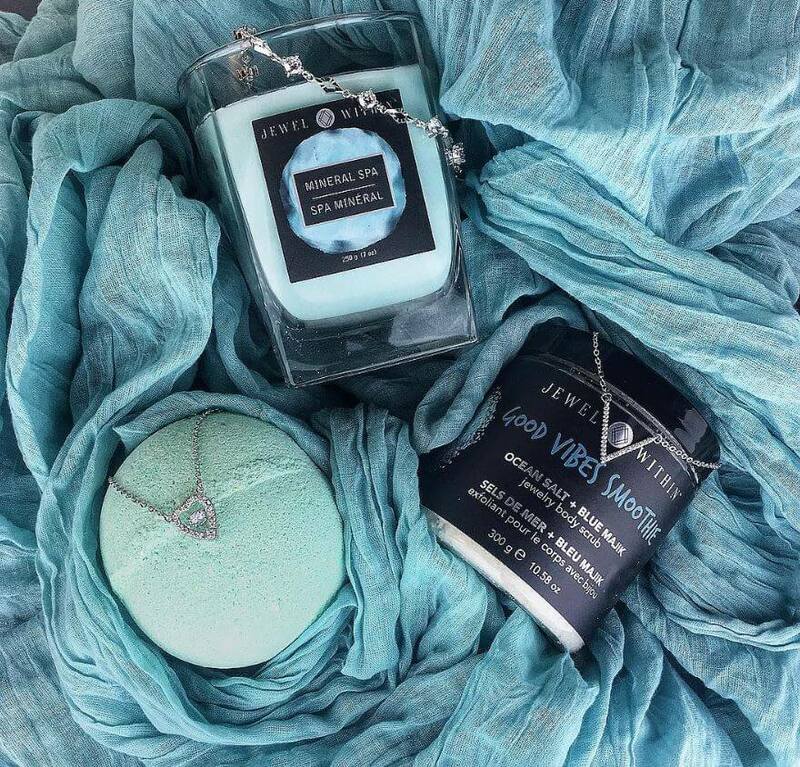 Candles are hand poured using soy wax with lead-free wicks, scrubs are prepared using natural ingredients and exfoliants, not complex synthetic compounds. Each item is the product of love and is full of the Jewel Within team’s intentions for enhancing the everyday. With products available at The Bay, GreenEarth and Bed, Bath, and Beyond-USA, the company has already built a solid foundation of fans and followers. Extending their product offerings to the online realm was a natural extension of their company’s growth and a facet we were so honoured to be asked to be a part of. Recently launched, their new site invites customers and wholesalers to discover their brand, product offerings, and to learn about the jewelry and appraisal process. When you’re ready to order, simply head to their online shop for convenient and easy shopping- right from the comfort of your home. If you’re curious about what the products look like in action, or simply just enjoy watching unboxing and product trial videos (who doesn’t!) the site directly integrates video for your viewing pleasure. If you have questions, head to their FAQs page for a wealth of information and answers to customers most common questions. Or, check out their blog page, with useful tips and valuable information. Or, send them a message! One of the best things about the team at Jewel Within is that they truly value transparency and fostering relationships. They love hearing directly from the public and interacting on a personal level- manifesting the homemade and local nature of their product line. To keep up to date with the team, their promotions and new products be sure to sign up for their newsletter. If you act fast you will even be entered into a draw to win a $100 gift-card- simply for signing up! Next time you’re looking for a meaningful and unique gift that will keep giving long after its opened, be sure to think of Jewel Within. Whether it’s for a loved one, teacher, acquaintance, or even yourself, their line of luxury products will provide a memorable experience with a jeweled keepsake to enjoy for a lifetime.